Then days later, Japan bombs Pearl Harbor, and just a few days after that, Germany declares war against the U.S. Rightly so, President Roosevelt returns the favor. Of course, Tracy immediately finds herself caught up in the War, just like the rest of the nation. But it’s her curiosity that leads her on a collision course with a killer, and she arrives at the bombshell’s apartment only moments after the blonde has been murdered. Though Tracy is accused of the crime at first, she quickly finds herself working as an Apprentice P.I., under the tutelage of a real private investigator. Soon, they’re hot on the trail of the bombshell’s murderer. Then from singing at the hottest nightclub around, to a car chase in her 1940 Packard, Tracy’s investigation takes her far from her blue-blood upbringing. And it isn’t long before she finds the War is hitting a lot closer to home than she ever imagined . . . and danger isn’t much farther than her doorstep . . .
Detective Denton, of course, sat right across from me. Between his size and the wingspan of his arms, he practically took up the entire expanse of the other side of the table. He’d been grinning like a Cheshire cat ever since Michael, a well-known Houston attorney, had walked in and made such a gigantic leap to such an erroneous conclusion. Of course, it didn’t help that Michael had practically announced his assumptions from a rooftop. Since then, Detective Denton had all but thrown the book at me. Though at least he’d removed my handcuffs. Now my mother glared at me. Or at least, she tried to glare at me, but no matter how hard she seemed to work at it, she could not manage to hold her gaze steady. “Tracy is innocent,” Nana announced. “And she had better not lay a hand on you ever again!” Nana clenched her teeth and stood up. “What a terribly common thing to say,” my mother retorted. I groaned, wondering if there was any hope at all for me to get out of this gigantic hole I’d suddenly found myself in. A hole that my mother and ex-fiancé seemed to be digging just as fast as they could make their shovels move. The more they dug, the more Detective Denton was determined to see me hang. Did the facts in this case even matter? Or was he just trying to wear me down and get me to admit to a crime that I hadn’t even thought of committing? To think, all this had happened because I’d had momentary hopes of reviving Betty. I was suddenly very thankful that I’d taken pictures of the crime scene. Because, judging by the way things were going, I might need all the evidence I could get to prove my innocence. “She made a comment about shooting me with her father’s gun the other day,” Michael added with a frown. I let out another shriek. By now I was reaching the point where the thought of committing murder was actually starting to sound like a good idea, starting with my ex-fiancé. This from a woman who was drunk and had just slapped her own daughter in front of an entire room full of people. Just then the door to the already crowded room flew open wide. Speaking of insanity pleas, in strode none other than Sammy himself, a man whose hobbies included walking around with a box full of obituaries. As always, he wore his trench coat and fedora. I stifled a moan. Of all the interrogation rooms in all the police stations in all the towns in all the world, why did this Humphrey Bogart look-alike have to walk into mine? He was all I needed to add to this group who was about to convict or commit me. That’s when I dropped my head into my hands. Could this night get any more bizarre? Tracy Truworth’s mother has very definite ideas about appropriate activities to occupy a young lady’s time, and detective work is not one of them. Neither is singing in a nightclub or with a swing band, for that matter, but Tracy does all three in this novel! Bad Day for a Bombshell is a cozy mystery that is firmly rooted in its 1941 time setting. It even captures the spirit of the books and movies of the era with its slightly larger-than-life characterisation and its love of dramatic effect rather than striving to be strictly realistic at all times. But that’s not to say there aren’t some serious elements to the book. After all, there is a war on, and Cindy Vincent doesn’t shy away from showing the emotional impact this has on her characters. Tracy longs to follow in the footsteps of her literary heroine, Katie McClue (who sounds very much like a 1930s Nancy Drew), and luckily for her, many of the situations she finds herself in remind her of one of the numerous novels relating her heroine’s investigations. Titles such as The Case of the Shifty-eyed Stranger, The Case of the Terrifying Car Chase, and The Mystery at the Secondhand Store give Tracy all the inspiration she needs to spot a mystery in the making, and to know how best to proceed. It also happens that she is recruited by Humphrey Bogart lookalike PI, Sammy Falcone – who was named by his mother long before Dalshiell Hammett wrote Sam Spade and The Maltese Falcon into existence, thank you very much! He sees a lot of potential in Tracy Truworth, and though she doesn’t always emulate Katie McClue quite as successfully as she would like, Sammy’s not disappointed. He and ‘the kid’ are set to become a detective team vastly superior to the local police force. But the story isn’t all about the mysterious bombshell. There are some family issues plaguing Tracy too: A fiancé who might as well be non-existent for all the attention he pays her; and a mother whose only ambition for her daughter is to have her married to said fiancé. A very public altercation prompts Tracy to leave home for a time and take up residence in her best friend’s flat, which just happens to be in the same building as the bombshell. Tensions run high for Tracy on both the personal and the professional front as she and Sammy work to get to the bottom of who killed the bombshell… and why. Although I felt the narrative could have been tighter and more economical at times, this was a fun read, and I have to say I was thoroughly surprised by the poignant ending to the mystery of who killed the bombshell. There is also a little hint of romance for Tracy during the story, which makes any story better if you ask me! All in all, I will be looking forward to reading more of Tracy’s adventures in the future! I received a copy of this novel Singing Librarian Book Tours. All opinions expressed are my own. Join the giveaway by clicking here. Image | This entry was posted in Book Reviews, Historical Fiction, Mystery and tagged 1940s, 4 stars, Cindy Vincent, Cozy Mystery, Singing Librarian Book Tours, WWII Fiction. Bookmark the permalink. 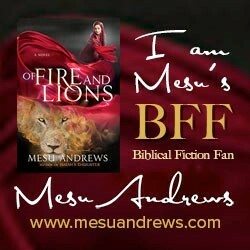 Thank you so much, my dear Ms. Fiction, for participating in our blog tour and for your wonderful review! It’s been a real pleasure to meet you, and I hope our (virtual) paths cross again. In the meantime, I’ve got to get back to the 1940s, where Tracy Truworth is well on her way to being embroiled in her next mystery in “Swell Time for a Swing Dance.” Busy girl that she is! Have an absolutely merry Christmas, and my God bless you in the new year!